Amadeus is a leading provider of advanced technology solutions for the global tourism and travel industry. In the last ten years, Amadeus has invested approx €4.5bn in R&D in technology for travel and tourism. Amadeus facilitates tourism flows by connecting travel providers (airlines, railways, rental car, hotels, tour operators, ferries) with travel sellers worldwide, processing almost 600 million bookings per year and responsible for more than 1.3 billion passengers boarded. Amadeus has its main sites in Spain, France and Germany. Amadeus is actively engaged with the European Parliament, the European Commission and tourism industry stakeholders to reinforce the sustainability and competitiveness of the tourism sector. Established in October 1985, Emirates has become one of the fastest growing and innovative international network carriers in the world. Emirates now operate a fleet of over 230 Airbus and Boeing aircraft currently serving 148 destinations in 80 countries. The airline is the world’s number one international carrier by Revenue Passenger Kilometres (RPKs). In 2014/15, Emirates carried 49.3 million passengers, up 11% on the previous year, with an average seat load factor of 79.6%. The airline employs over 56,000 employees worldwide. Emirates’ operations, including the impact of the 220 unique connections it offers, supported 85,100 jobs across the EU in 2013/14, equivalent to €6.8 billion GDP of the total EU GDP. Expedia, Inc. is one of the world’s leading travel companies, with an extensive brand portfolio that includes some of the world’s most trusted online travel brands. 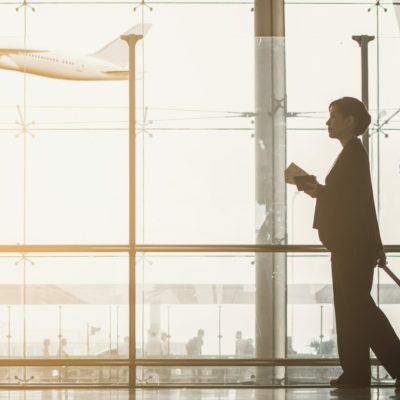 Expedia empowers business and leisure travellers through technology with the tools and information they need to efficiently research, plan, book and experience travel. In addition, through its advertising and media businesses Expedia helps businesses, and among others, tourism authorities, reach a large audience of travellers around the globe. Expedia, Inc.’s companies operate more than 100 branded points of sale in more than 60 countries. Global Blue is the world’s leader in providing tax refunds to international travelers and globe shoppers. Having invented the concept of Tax Free Shopping 35 years ago, Global Blue allows travelers to save up to 19% on the world’s best loved brands when shopping abroad. The Global Blue Group has operations in 43 countries around the world, catering to over 35 million transactions annually in a network of 270,000 international merchants, including major luxury brands, department stores, high-street retailers, hotels, supermarkets and smaller independent brands. As a natural part of their business, Global Blue also has strong and established long-term relationships with tourism, customs and tax authorities around the world. Specialising in traveler path-to-purchase data for over a decade, Sojern is travel's direct demand engine for thousands of brands - from global enterprises to boutique operators - across the hotel, airline, cruise, transportation, tourism industries and more. Analysing the world's travel intent signals with its proprietary data science methods, the company delivers direct bookings for its clients by activating multi-channel branding and performance solutions on the Sojern Traveler Platform. Recognised on the Top Company Cultures list by Entrepreneur Magazine, Sojern is headquartered in San Francisco, with teams based in Dubai, Dublin, Hong Kong, London, Mexico City, New York, Omaha, Paris, Singapore, and Sydney. Eurail Group G.I.E. is wholly owned by 36 railway and shipping companies and is the organistation dedicated to the marketing and management of Eurail and Interrail Passes. These passes offer flexible rail travel throughout Europe, connecting both countries and passengers alike. Eurail Group continuously works to improve pass products and is committed to developing relevant and innovative market intelligence in order to meet the needs of different travellers worldwide. Today, over half a million people of all ages use Eurail and Interrail Passes each year and discover Europe via more than 250,000 km of interconnected railways. Value Retail is the only company to specialise exclusively in the creation and operation of luxury outlet shopping destinations, the Chic Outlet Shopping® Villages, which include Bicester Village in the UK. Through the nine Villages in Western Europe, Value Retail offers its tourism partners a unique platform of locations, positioned in major markets. The Villages benefit from mutual synergies and shared experience between their respective markets, enjoying the advantage of multi-channel marketing and partnerships aimed at discerning international customers. Each Village is located an hour or less from at least one major European city and reflects the heritage of its region. HiSeas International Travel Group is a leading European and North American Destination Management Company dedicated for Asian market, with the biggest market share in mainland China. 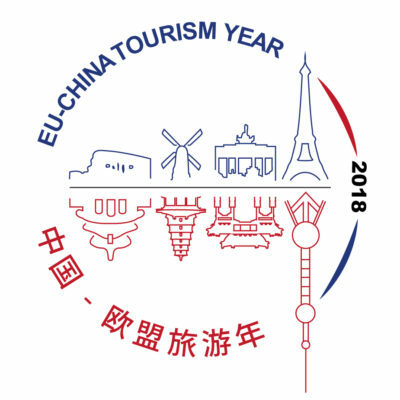 Founded in Lausanne, Switzerland in 2011 and currently headquarters in Chengdu, China, HiSeas is focused on delivering systematic solutions of European tourism resources for Asian business partners. Basic services include providing hotels, coaches, museum tickets and other land operating resources and services for Asian tourism wholesalers. It also operates actively and have sales offices in Indonesia, Thailand, Cambodia, Vietnam and South Korea. In Europe, subsidiaries and offices are widely spreaded in cities like Paris, London, Munich, Budapest, Malta, Lausanne, with 7 managed hotels in Switzerland and coach companies in Slovakia and France. Welcome Chinese is the standard Certification issued by the China Tourism Academy (CTA), a public institute within the Ministry of Tourism in China (CNTA) dedicated to monitoring outbound travel. Welcome Chinese has as core value the promotion of a broader understanding of the Chinese culture and habits throughout the travel industry, bridging the gap between expectation of the most important travel population and the offer dedicated to them. The Chinese travellers view Welcome Chinese as the global quality standard for hospitality services in foreign destinations. ADARA is the world’s travel data co-op providing a unique holistic understanding of travel patterns, trends and behavior. It’s a safe and secure way to share and analyze historical and real time data about more than 750 million monthly unique traveler profiles from more than 190 of the world’s top travel brands. The ADARA data co-op fuels three core business areas: Advertising, Measurement & Analytics and Traveler Intelligence. 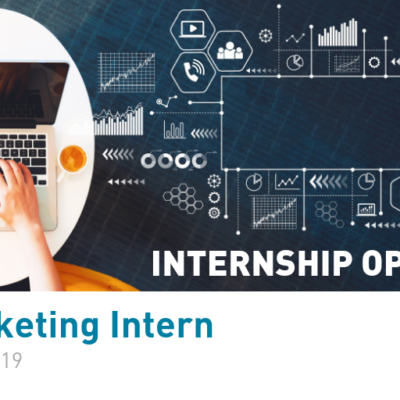 Together they provide unparalleled access to insights and knowledge allowing travel marketers to increase marketing efficiency, maximize revenues and grow their brands. Founded in 2008, Airbnb exists to create a world where anyone can belong anywhere, providing healthy travel that is local, authentic, diverse, inclusive and sustainable. Airbnb uniquely leverages technology to economically empower millions of people around the world to unlock and monetize their spaces, passions and talents to become hospitality entrepreneurs. Airbnb’s accommodation marketplace provides access to 5+ million unique places to stay in more than 81,000 cities and 191 countries. With Experiences, Airbnb offers unprecedented access to local communities and interests through 15,000+ unique, handcrafted activities run by hosts across 1,000+ markets around the world. Airbnb’s people-to-people platform benefits all its stakeholders, including hosts, guests, employees and the communities in which it operates. 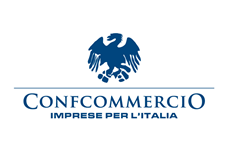 Confcommercio-Imprese per l'Italia - the Italian General Confederation of Enterprises, Professions and Self-Employment - counts today more than 700,000 enterprises, with almost 2,700,000 employees, making it the largest employer organization in Italy. In the tourism sector, Confcommercio groups hotels, public establishments, travel agencies, tour operators, incentive services, camp sites, tourist villages, tourism-hotel residences, time-shares, bed & breakfasts, youth hostels, beach resorts, night clubs, marinas and boat hire enterprises and meeting planners. (Coordination: Confturismo). CrowdRiff is an AI-powered visual marketing platform purpose-built for marketing teams at travel and tourism brand. Using CrowdRiff, marketers can discover, collaborate on and deliver top-performing visuals across every marketing channel. We are proud to work with over 500 travel and tourism brands globally including Holland Marketing, Visit Harrogate and Destination British Columbia.